As an American living in Brazil, I’m constantly getting to know learners English learners of all English levels. This experience has introduced me to Brazilian culture, and opened my eyes to a series of unique characteristics that separate Brazilians from other cultures. Through three years of teaching, and building the Real Life English community and blog, I’ve had the opportunity to reflect upon the advantages and disadvantages that your “Brazilianness” has on your learning process. This is the first part in an article series that will explore what I believe to be the general cultural tendencies that help Brazilians to learn English, and those that block your learning. Today, in part one, we will talk about the unique advantages that Brazilians have in learning English, and describe how model learners use their “Brazilianness” to shine as effective and fluent communicators. These reflections are, of course, generalizations, and this is just the humble perspective of one gringo living in one small part of this vast country, but I believe my ideas can be of great help to Brazilian language learners. As you can see, I’m not Brazilian, so to complement my perspective, I would love to invite you to share your thoughts and opinions on this topic in the comments below. After all, I’m learning from you guys too. So without further ado, I’m excited to present Brazilian qualities that help you learn English. A lot Brazilians think the rest of the world only has negative stereotypes about them, but the truth is that most people from other countries think that you are some of the friendliest people on earth. In my experience, this is a generalization that is mostly true. So how does this help you learn English? The fact of the matter is that the most fluent speakers don’t develop fluent communication skills in English only by studying it. They get fluent by speaking English, and by speaking A LOT, and by making a lot of friends by using English. They make English a part of who they are, and the best way to do this is by developing relationships with people in English. In addition, when you are able to transmit your warmth and friendliness in English, you create an intuitive connection that tends to carry the conversation through those moments when communication might otherwise break down. With the World Cup and Olympics coming, this is definitely something that a lot of you guys will have ample opportunities to work on. Of course, not all Brazilians are extroverts, and not all fluent speakers are friendly, but I’ve met enough examples of charismatic Brazilians who take full advantage of this in their English communication to know that this cultural trait is often a big help. So if your innate warmth and friendliness help you learn English, you may ask why more Brazilians don’t speak English fluently? The answer is not so simple, but part two of this article, 3 Obstacles Brazilians Have to Learning English, will explore some of these reasons. One of the reasons Brazilians tend to have a difficult time relaxing and using their natural social intelligence to learn English is because they don’t feel natural when speaking it. If you are like most Brazilians, you were probably taught from a young age to see English as a school subject to pass, as information to be memorized and tested. You were either right or wrong, and mistakes were punished, not valued as a learning tool. You were never taught that mistakes are a normal part or that communication and human connection are more important than grammar. Everywhere I go, Brazilians are consistently interested in learning every little detail about my culture. At first I thought this fascination was just for the United States, but the more I met other gringos from different countries, the more I started to realize that they experienced the same thing. This curiosity has nothing to do with class, color, or belief system, nor does it have anything to do with being “cultured” or educated. It’s in the DNA of Brazilian culture. So what does this fascination of foreign cultures have to do with learning English? Everything! It is this curiosity that generates the intense desire to break down communication barriers! It is this curiosity that opens the mind to new horizons, to new cultures, and different ways of thinking. It is the curious mind many Brazilians have that can conceive of the possibilities and opportunities that may present themselves through the English language. This fascination is innate in Brazilians, and that’s why many of you guys are SO interested in traveling. This is a big reason why there are so many of you living in different parts of the world, or at least with friends and family living abroad. So, if Brazilians everywhere are intensely curious about international culture and travel, why don’t more of you speak English fluently? Because most Brazilians need human connection to activate this fascination and apply it to language learning! The final Brazilian advantage for speaking and learning English that we’re going to contemplate today are a few aspects of Brazilian communication style. We’re referring to Brazilian personal space and general flow of communication. The first and maybe the most obvious tendency is related to the close personal space Brazilians often employ in face to face communication. If you’re aware of how this affects people, this can be a very good thing. While Americans and some Europeans tend to be “colder” in this sense, physically distancing themselves when talking to another person, Brazilians (and other Latino and Hispanic cultures) embrace, touch more when talking, and move closer into each other’s personal space. For me, and a lot of other native English speakers, this is one of the most magnetic aspects of communicating with Brazilians, as it increases a sense of connection that helps transcend the cultural barrier. I felt this with Brazilians even before I came to Brazil. So how can you take advantage of this for your English learning? In native English speaking situations, you develop awareness about your personal body space, and pay attention to the signals you’re getting from people. If you are aware of how it affects people, you can use it to your advantage, and then just adjust your style when appropriate. If you intuitively feel connected to somebody, all forms of communication are a lot easier. Another difference I’ve noticed that Brazilians have is the general flow of communication, especially in social situations. To understand this, you really have to step back, observe, and compare this to how native English speakers communicate. Much like the question of body language and physical space, English speaking cultures (and even the language itself) tend to favor a communication style that is more objective, serious, and detached. From the perspective of someone who is not used to this, this may be interpreted as overly logical and cold. But anybody who understands native English speaking cultures can tell you that this is usually not true. Brazilians, on the other hand, tend communicate in a much more flexible, charismatic, and often playful way. From the perspective of a native English speaker who’s not used to this, this may seem a bit intense, loud, and out of order. In the same way, anybody who understands how Brazilians communicate will tell you that this is not how it is. To speak a foreign language fluently, you have to expand your perspective and think in an entirely new way. You have to learn how native speakers flow, how they engage, and how they experience the world. This is a great challenge, but it does not mean that you have to sacrifice your unique Brazilian qualities when learning and speaking English. Much to the contrary, you could celebrate your unique Brazilian qualities and use them to your advantage. Embrace your Brazilian warmth and friendliness, your charisma and curiosity, especially when learning and speaking English. This will help you connect and transmit the best of who you are as an individual, as a culture, and it will help you learn English. Remember, learning a second language gives you the incredible opportunity to reflect upon where you come from, to celebrate what makes your culture unique, and to compliment it with an expanded and point of view. The more you participate in this process, the more you start to think of yourself as an ambassador for your culture and a world citizen. This will give you important insights into not only your culture, but also your learning process, and the obstacles in your path. In part two of this article, we will explore 3 Brazilian Obstacles to Learning and Speaking English. We’ll talk about different aspects of Brazilian culture that tend to obstruct learning, and what you can do to overcome them. Thank you for the opportunity to share! If you’re interested in learning more about Real Life English methodology, join our weekly newsletter (it comes with our popular free e-book, 101 Words You’ll Never Learn in School). I love Brazil, i love the fact i’m brazilian! and foreign people is welcome here, always! We really like to do new friendships, We do like to talk with others, we like to change experiences!! Hey Adonis, Thank you for your nice message, Adonis! Keep up your hard work with your English. Take care. "[….] Brazilians (and other *Hispanic* cultures) [….]". I loved it Justin! Thank you! As a Brazilian Citizen, it’s very good to see you have so many good things to tell about us, brazilians. Yes, we are very friendly and for most of Europeans, it can be a little bit strange. In my opinion, Americans are so friendly, even more than us. They like to talk, chat and make new friendship. Thanks for share your opinion and tips in learning English with us! I personally don´t like Spanish nor Hispanics´accent when speaking English or Portuguese. However, disregarding linguistics issues, I agree that our Latin roots yield many features that make us look a lot alike. Mexicans tend to feel like Brazilians and we think we resemble Colombians. I´m pretty suspicious about the remarks on body language, though. That´s a tricky subject and its assumptions are mostly universal. That means body language does not differ that much among cultures worldwide. Maybe (I´m not sure) Brazilians are intimate with foreigners, but not with one another. Perfect analysis of us. You have such a great perception! Nice comment really. 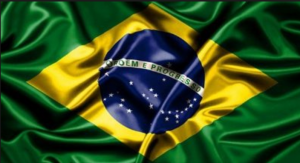 However, on the other hand, in terms of disadvantage, Brazilians are too much inquisitive, asking so many why, why.as if Portuguese were the standard language and all others had to follow it. Ex: Why do you say “I dreamed about you last night” and not WITH you? Where is the “com”.It is a national tendency and, in my opinion, doesn’t help us to learn English. Parabéns, Justin, por tamanha sensibilidade e disposição em oferecer a oportunidade de aprendizado do idioma Inglês às pessoas de diversos países e, principalmente, pela atenção dada aos nativos brasileiros. Hey Luciana, Obrigado por ler e responder, e também as suas palavras legais, e a receptividade brasileira à qual estou tão acostumado :0) Ótimo dia para você! Parabéns pelo post! gosto muito desse blog e foi através dele que eu melhorei muito na leitura do inglês. talvez ler seja um dos maiores prazeres da vida e ler em inglês então pra mim está sendo uma experiencia muito mais prazerosa. continuo com dificuldades para falar e escutar , mas tenho treinado dia após dia e creio que vou melhorar com o tempo. saudações brasileiras a vocês que escrevem pra esse blog. Are you guys doing a great job at this! I really enjoyed reading this. I recently started teaching ESL at a school that is predominately filled with Brazilian students. I had some questions for teachers about my experience, looked on google, and found your page. I agree with you that it is interesting to learn about their culture, how they interact, and share my experiences as an American with them. I must admit that, as an American from the bitter northeast (Pennsylvania), I went through some culture shock as a teacher. I tend to be reserved (possibly viewed as “cold”) and all business, but teaching Portuguese-speaking students has made me friendlier, has helped me loosen up, and has helped me grow as an educator. I feel that I am more fun now (although I am biased) because of the Brazilian vibes I receive in my classrooms. I do have a question for you though: how do you deal with the overly-inquisitive students who catch you off guard in the classroom? For instance, I have students who question me all the time during my grammar classes about areas of the English language that simply cannot be explained. For instance, with collocations (example: cream and sugar, not sugar and cream). “But why do they have to appear in THAT order?!? !” I get flustered sometimes and think they sense it/get enjoyment out of it. Maybe it’s just me, but how do you handle situations like those?